Through the combined efforts of dancers from Alisa’s Dance Academy, the Westlake Orchestra members, the Westlake Technical Entertainment Crew, Westlake digital art students, and numerous parents, the Nutcracker spectacular was a major success for the 14th year in a row! There is no other show in the world that can blend the quality music, stunning digital scenery, elegant dancing, sophisticated lighting, and incredible scenery the way the Nutcracker Spectacular does. Every year, this unique event unites the Westlake Community and ignites the holiday spirit. Eight years ago, the students of the Westlake Technical Entertainment Crew decided that the Nutcracker shouldn’t just be a great show: it should be a part of a great cause. That’s when, with the support of Lexus of Austin, TEC students began to sponsor a Make-A-Wish kid every year during Nutcracker. This year’s Make-A-Wish child was Lucas. Lucas was diagnosed with a congenital heart defect as an infant. Now six years old, Lucas overcomes his circumstances with joy. He is a ball of energy, jumping, kicking and running through his days. He enjoys climbing trees, riding his bike, and playing racing games. Because of the support of Westlake TEC, Lucas was able to live his dream of meeting Mickey Mouse at Disney World and playing on Coco Beach. Although he is back home now, he will cherish those memories forever. In December, the Westlake Technical Entertainment Crew and Lexus of Austin puts on the annual Nutcracker Spectacular, a show featuring Tchaikovsky’s The Nutcracker played by the Westlake Symphonic Orchestra and performances by the dancers at the local dance studio, Alisa’s Dance Academy. For those in Westlake TEC, the Nutcracker Spectacular marks the first of the three major productions that take place in the Westlake Community Performing Arts Center every year, followed by the choir’s musical, and Hyline’s Zenith. As the first major production of the year, the Nutcracker Spectacular is when the line between the new students currently enrolled in Technical Theatre 1 and the more experienced members of Westlake TEC begin to blur. 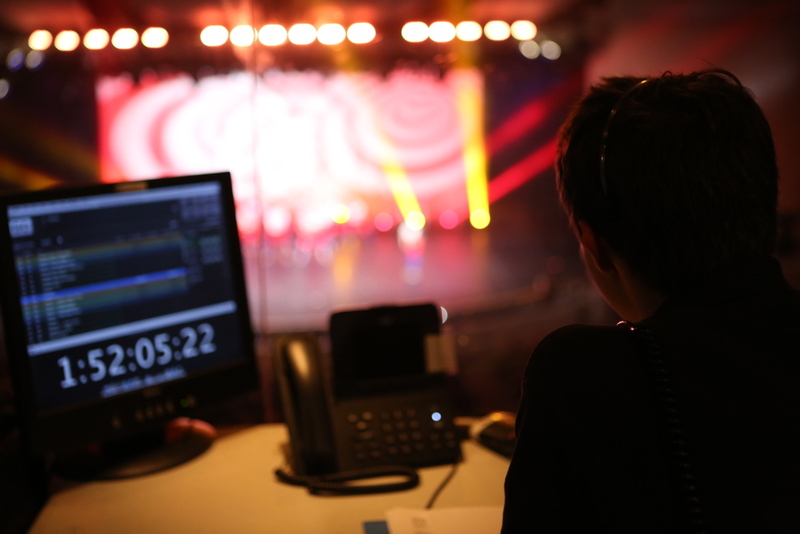 In order to put on the show for around five thousand five hundred people, everyone works together to find sponsors, design visual effects, and ensure a flawless show. This year, the WCPAC Managing Director, David Poole hired a new technical director, Michael Essad. Mr. Essad has put in countless hours to improve the show by rebuilding the Christmas tree, decorating and revitalizing the set, and supervising backstage areas during each performance. With the help of Mr. Essad, PAC staff, and incredible student leadership, Westlake TEC successfully put on five completely sold out shows. Despite the pressure and the work associated with the Nutcracker Spectacular, it remains a favorite among many, including Kyle Hoover (Senior), this year’s Nutcracker stage manager. Kyle says the Nutcracker is his favorite production because “it embodies what TEC is...It’s a huge production with lots of scenery, special effects, and lighting elements. 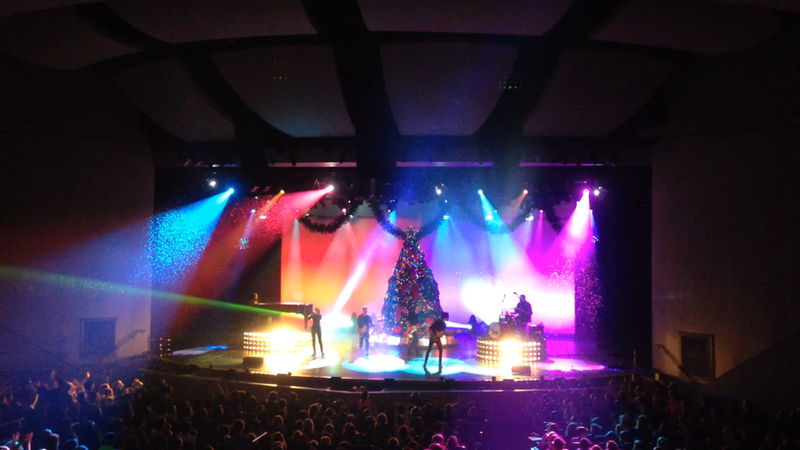 Nutcracker shows what TEC is capable of, and it is very special to get to share the show with the Westlake community”. Even freshmen, whose first production is the Nutcracker, enjoy it. Tate Miller, currently in Technical Theatre 1, says, “I signed up for the Nutcracker because it was the closest upcoming major production and I just really wanted to start off my TEC career with the Nutcracker.” He also adds that “the orchestra is really good, and I like how they’re playing the originals”. In addition to the Nutcracker in the fall semester, TEC also works to broadcast all of Westlake’s varsity football games on television. This was the first year that TEC broadcasted on KXAN’s sister station, KBVO. The Westlake Television Broadcast Crew, colloquially known as the “Video Crew”, is arguably one of the greatest achievements of the organization. Many are first motivated to be in TEC because of this crew and the technology and opportunities associated with it, such as Luke Beasley (Freshman), and the current Westlake TEC president, Sean Wangnick (Senior). 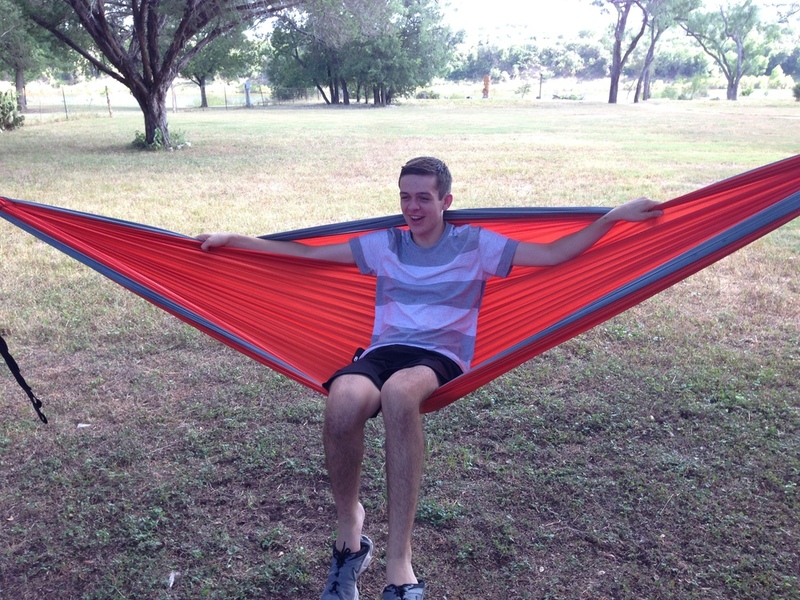 Sean was introduced to the program in seventh grade and “couldn’t wait to be a freshman at Westlake, just so I could be a part of TEC...and it was really all about the technology for me”. Overtime, Sean says that he realized “it becomes less and less about the technology you’re working with but more about the people you’re working with”. Luke, like Sean when he was younger, joined TEC because he “knew of how an amazing of an opportunity it is and how the TEC culture is something no other organization can give you, and I love the performance and the technical side of things”. This is a sentiment shared by many others, who all find TEC and Video Crew to be an amazing experience. An example was when the Westlake football team played in the 2017 UIL Football State Semi-finals at the Alamodome in San Antonio, Texas. For the first time in history, the Video Crew took the opportunity to broadcast the game live. As the Nutcracker Spectacular performances were taking place at the same time, about 1/3 of the crew had to stay back. This split-up of an essential crew creates a stressful situation that forces everyone to become a lot more focused in order to pull off both productions simultaneously. The last time a football broadcast and a Nutcracker show coincided like this was in 2015. At that time, Kyle Hoover had written that despite the obstacles, “both events went off without a hitch, a feat which really shows the community how professional and dedicated the TEC organization is”. This again can be said about the Westlake TEC today, since both Nutcracker shows and the live broadcast went off without a hitch. Now that the fall semester is over, everyone begins to look forward to the future productions in the spring and strives to continuously achieve success in everything Westlake TEC will do. At TEC 101 this evening, the Officers gave new members a sneak peak at the technology we use to put on productions in the Performing Arts Center! The Football Television Broadcast Crew is proud to be broadcasting on KXAN this year! Our weekly productions go live Saturdays at 7pm on KXAN-TV’s sister station KBVO-TV. See the first game September 2nd! Select students had the amazing opportunity to visit this fabulously unique country. We spent 10 days in Melbourne and Sydney to tour globally famous theaters, and have some cool off time before finishing this year with Zenith! Our broadcast crew is comprised of twenty-three students, each becoming a highly-trained specialist in a particular field of video. Multiple crews hold control over each section of a broadcast, including field cameras, wide angle, high vantage point cameras, audio (including parabolic, referee, and crowd microphones), graphics, instantaneous replays, highlight packages, camera engineering, and technical directing. A few students even direct the entire broadcast. All this is performed without the help of adults. As a group of students interested in television broadcasting, we are always looking to learn as much as we can from other televised events that differ from a football game. This August, we were given a tour of the ACL Live studios, and it opened our eyes to another world of high quality live video. 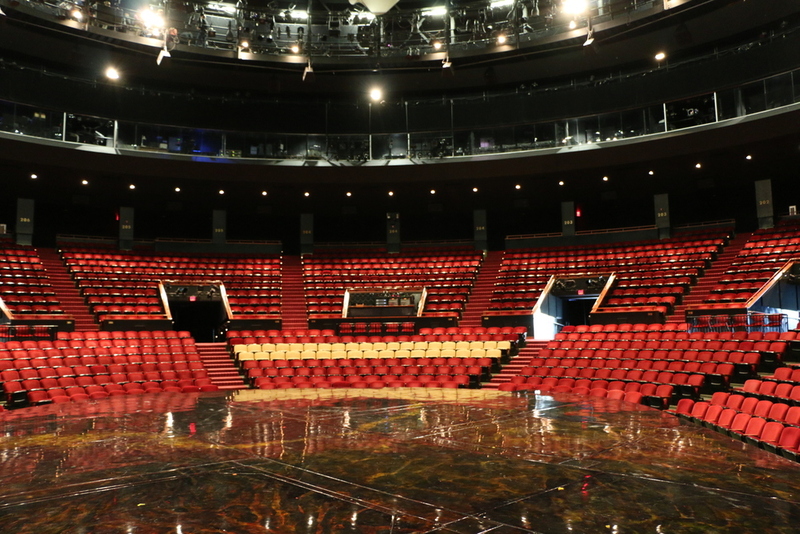 We were taken onto the main floor, many of us seeing the stage-and the theater itself for the first time and given the opportunity to see all of the production equipment. We were taught about the many different cameras (including the crane cameras and Mezzanine camera), and were able to ask questions about how they are generally operated and which shots are chosen during live productions. Then, we were brought backstage and toured the production, audio, and video engineering rooms. Much of the equipment felt familiar, though the production was on a much larger scale than our own. It was amazing for us to see just how many moving parts there were and how our jobs filming football transferred to the professional world. Lititz, Pennsylvania is a small town with Amish roots, where you can still smell the farm animals as you drive down its narrow roads. At first glance, there's nothing really special about Lititz, but nestled in this unassuming town are two of the most prominent and widely patronized companies within the field of live entertainment, Clair Global and Tait Towers. Clair Global specializes in all things audio. They tour with different events and shows, providing a high quality audio setup, as well as audio expertise for those events. TEC was able to go behind the scenes at Clair, with special access to their warehouse, production facilities, and repair shop. As you walk into the building, your first thought is that you simply stepped into an office building. As you keep walking, though, you go through the museum they have setup, with such rarities as a mixing console used for an Elvis show in Madison Square Gardens, or one of the very first analog consoles. Next, you enter their combination warehouse/workshop. As soon as you step in, the enormity of their operation hits you. They're constantly assembling new speaker cabinets and repairing old ones, their CNC machines are cutting pieces of wood for new speaker cabinets, and their electronics shop is repairing and testing the computer hardware for digital consoles and speakers. It's a constant buzz of work and energy. A little later, that sound of work being done dies out as you walk through the doors to Clair's storage room, which is filled to the brim with different types of speaker cabinets. Then, as you complete your journey, you go back to the office, and the change in intensity from earlier makes you feel worn out, almost as though you had just taken a three hour tour. Let's take a step back. Earlier I mentioned that there were two major companies in Lititz: Clair Global, but also Tait Towers. If you've seen the Cirque du Soleil show "O", or Taylor Swift's "1989" concert tour, or "Adele Live 2016" then you've seen some of the handiwork of Tait Towers. Tait is a production and set design company known for impressive set pieces, amazing stage automation, helpful stage creation components, and yes, their seemingly very popular four wheel dolleys. Their warehouse and production facility is broken up into different sections. One for each of the different steps involved in the design and creation process. Tait Towers is a very impressive company that has created, and will create, many amazing sets and set pieces. We were extremely fortunate to have been given a chance to tour their facilities. And that's Lititz, a small town with a big impact. Cinderella was the first major production where I was assigned a leadership position. Specifically, I was head of lighting. (“Master Electrician” was the fancy name for it). It was a whole new experience for me, because until now, I was always sitting behind a lighting console. Now I was the overseer, looking after many people behind many consoles. I had a mix of freshmen and sophomores on my crew, and many had never worked a major production before. It was sort of a first-time experience for all of us, and that is what sparked the excitement for me. Day 1: Friday, January 29. School had just been dismissed that day, and the entire crew for this year’s musical was gathering in the PAC for the first time. The energy was high and we were ready to roll! I was starting to get nervous, as the TEC calendar labeled today’s get together as a “Musical Rehearsal/Set Light Cues”. So the main purpose of today was getting the lights set for show-day. Here’s a bit of insight on the way we light our shows: In the PAC, we primarily use two lighting consoles to illuminate various objects in various ways. First, our ETC Ion 3000 control system. It is the main console we use to light up the stage using conventional lights. We also use a Full Boar Road Hog Console for automated lighting. This is the console that is used to produce amazing effects with moving lights on stage, in the house, or just extraordinary light shows. Both the Ion and Hog consoles are used for most shows, especially Cinderella. Throughout my Freshman year, I had learned a lot about programming moving lights with the Hog. Not only was I the Hog operator for The Nutcracker Spectacular my Freshman and Sophomore year, but I also programmed a light look for a dance in Zenith. During the actual Zenith performance, I was operating the Ion. As expected, the first few rehearsals were a little rough. It’s difficult to stay focused! It’s not easy trying to find a strange key on a light console. Chemistry between yourself and your fellow follow-spot operator first needs to grow in order to simultaneously fade in/out. We only had a few days to rehearse, but by February 4, everyone on my crew was able to execute their job perfectly. I was extremely proud of my crew, their patience, and their willingness to learn and improve their skill set. The cool thing about sitting in the light booth is that you can see and hear everything else that’s going on. You can see the grip crew moving scenery around on-stage in a timely manner. You can hear everything that’s happening behind the scenes on clear-com and on radio. I noticed how not just my crew improved immensely within just a few days, but the entire Cinderella crew did as well! I believe we ended up putting on a professional and successful production, all while having fun at the same time! The Technical Entertainment Crew’s Team Building Night has definitely been my favorite night of my freshman year. Compared to nights out with my friends, working football games, or going to band performances, Team Building Night surpassed these by far. The night included an amazing dinner, a raffle (which I won), skits put on by all the TEC members, countless games, and several hours of free time to spend with friends. At first, I was uncertain whether I wanted to go to the event or not. I was afraid that I wouldn't have anyone to hang out with all night since I was a freshman and completely new to everyone. However, one of my old elementary school friends, who is now a junior, convinced me to go. When I got to Team Building Night, I joined my friend, and everyone ate dinner. Afterwards, we got placed into different groups. I was assigned to a group of people I didn't know. We were designated a leader who took us into the lobby to start our first challenge: step on numerous numbered plastic pads, all in order from one to thirty five. The most difficult restriction was that the team could only have one person in the area of tiles at a time, and we couldn't step on the numbers out of order. We also had to complete the task in less than a minute. Our team first thought it would be an easy challenge, and jumped straight into the activity. Our final time on finishing the challenge was 2:51, along with many penalties for having too many people in the ring at one time. Although we didn't do very well with this method, we thought we could improve, so our instructor let us have another try. This time, our team planned out our strategy beforehand. Our second time doing it felt like clockwork: it was smooth, fun, and we got an amazing time of 1:07. From the dot exercise, our instructor helped us realize that good work requires communication and planning. For our next three exercises, we excelled under the time limit and had a lot fun doing the activity as well. After the challenge part of the night, our team leader let us go. We got to go play video games, hang out in the gym, and if we really wanted to, sleep. I was a little freshman, and I didn't know what to do, so I went into the gym and started shooting the basketball by myself. While I was in there, somebody that I didn't know came over and asked me if I wanted to come play ultimate Frisbee with him and a few other people. Even though I expected to be alone most of the night, I said yes, and I followed him to the other side of the gym. Together, 7 other kids and I played, laughing and becoming friends. My new friends and I finished the night off by playing a new game that I learned, called “Apples to Apples”. When the night came to an end, I couldn't have been happier with my decision to come to Team Building Night. 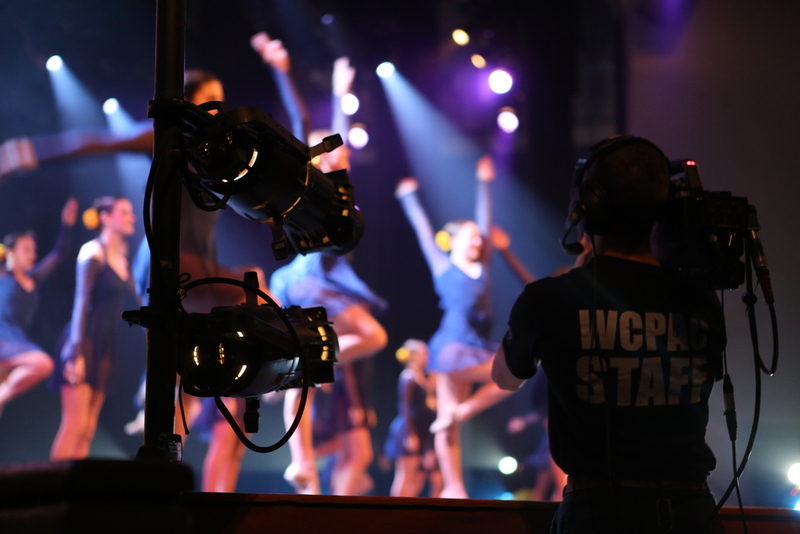 This past December, the Westlake Technical Entertainment Crew and Lexus of Austin joined together once again to put on the 11th Annual Nutcracker Spectacular at the Westlake Community Performing Arts Center. The Nutcracker features dancers from Alisa's Dance Academy and musicians from Westlake's Symphonic Orchestra and is complemented by visual effects and scenery created by Westlake TEC members. The Nutcracker Spectacular differs from the traditional ballet in that it features slightly different scenes, several pieces of new scenery such as our gingerbread house, shorter acts, and a rock concert with Christmas classics at the end of Act II. But these differences make our version of the Nutcracker unique and give the entire cast and crew room to create our own special touches. All throughout the fall, the TEC officers work hard to handle many aspects of the show, such as finding sponsors and planning out schedules and crew lists. Almost every day from the beginning of November through December, each technical theatre class works hard to refurbish scenery, such as the candy wagons and large gumdrops, and make sure the stage is ready for opening night. That's what makes Nutcracker so fun for the whole crew — it's entirely our own show. Alongside TEC, Westlake's Symphonic Orchestra spends almost the entire fall semester learning and drilling the ENTIRE ballet, which encompasses almost 20 pieces of music. Nutcracker's music is extremely difficult, and it really shows how amazing Westlake musicians are. I am a member of the Westlake Symphonic Orchestra and getting the opportunity to play such beautiful music in a large scale production is truly amazing. As you can probably tell, Nutcracker is a demanding show, and it requires a high level of professionalism and concentration to pull it off perfectly night after night. 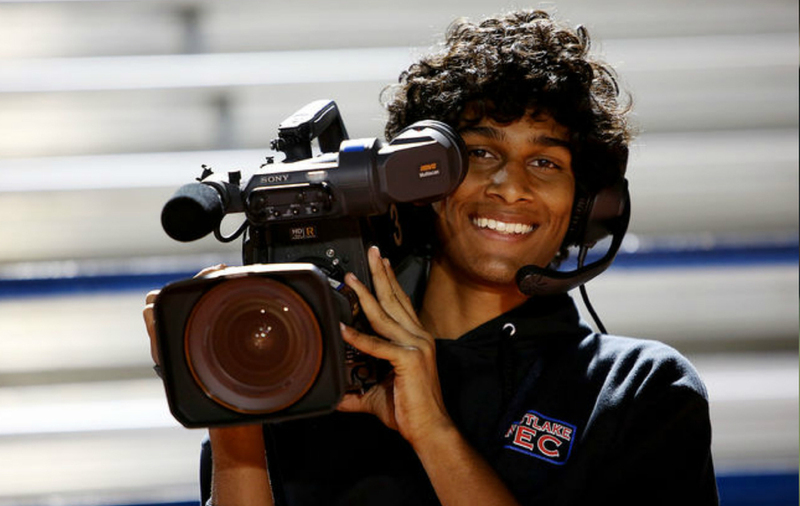 This year, the Television Broadcast Crew, which is composed of a group of Westlake TEC members, was still filming and broadcasting the Westlake Chaparral Football games during show week. Normally Video Crew ends in mid November, but it didn't this year due to advancing all the way to the state championship. This presented a major conflict with Nutcracker, and the entire organization had to come together to pull off both a professional football broadcast and a perfect Nutcracker show simultaneously. Past TEC alumni came in to fill spots on the Broadcast Crew due to the fact that many members stayed for Nutcracker. When combining the alumni and video crew members who produced the broadcast, the crew was only 1/2 to 2/3 of its normal size. Still, both events went off without a hitch, a feat which really shows the community how professional and dedicated the TEC organization is. Nutcracker Spectacular truly is a special show, and a huge community tradition. With five shows, over 5,000 patrons, and countless hours of rehearsals and builds, Nutcracker Spectacular once again wowed audiences and showed off the best Westlake TEC has to offer. A portion of the students in the Westlake Technical Entertainment Crew takes on the challenge every year to broadcast Westlake High School’s varsity football games live to tape on Time Warner Cable. This year there were 25 members of the team, starting off the year two weeks before school began. During the summer training, each member learned a specialized position: camera operator, replay operator, graphics operator, director, or one of many other specific jobs. The season started early with one of the biggest games of the year against Southlake Carroll. The team grew together as the season progressed, each person becoming an expert at their job. Over the course of the football season, the group became more and more efficient at the set-up and take-down for each away game, eventually taking only a fraction of the original time by the end of the season. It is amazing to see new members go from not knowing the names of the tools they are using to being experts on them. By the last game, the team worked together like a well-oiled machine. The 2014 season was left off with a rocky relationship with the head coach of the football team. We were stumbling, trying to deal with the new policies that he had put in place regulating the usage of the cameras. The team went into this year with the goal of turning this relationship around. I am happy to say that now, at the end of the season, the crew has a very positive relationship with the coach, unlike the previous year. The coach has even advocated for the organization in pep rallies and on television. Changing this relationship was one of the largest accomplishments of the year. This season was also a success for the football team, which meant that the broadcast crew got to continue filming the games on into the holidays. With this came some struggles, which the team had a blast working through. First off, the weather this time of year is cold and wet. When dealing with hundreds of thousands of dollars of broadcast equipment, this turned into a challenge. The team has successfully managed to produce an excellent product, despite having to keep everything dry in the inclement weather. Another challenge that comes with the games proceeding late into the year is a conflict with another event that we put on, the Nutcracker Spectacular. This year, there will be a rehearsal and show that conflicts with sixteen of the members on the broadcast crew. In dealing with this, the team decided to slim down the numbers on both events. There is even a handful of video crew alumni that are coming out to help work through this. Every year the team submits their product into three different UIL competitions: video editing, video directing, and photography. The crew has a very good record of winning awards in each of these events every year. One of this year's biggest goals the team is aspiring to is winning first place in all three of these categories. With the end of the football season, Students have begun editing the video footage to submit to UIL. The team will get the results back in the spring semester. Overall, the season has been a major success as far as the product produced and the fun times the crew has had. The group loved getting to broadcast the games all the way through playoffs and into the cold weather. It was enjoyable seeing the reputation with the coaching staff evolve throughout the year and seeing the outstanding product a group of high school students can produce. 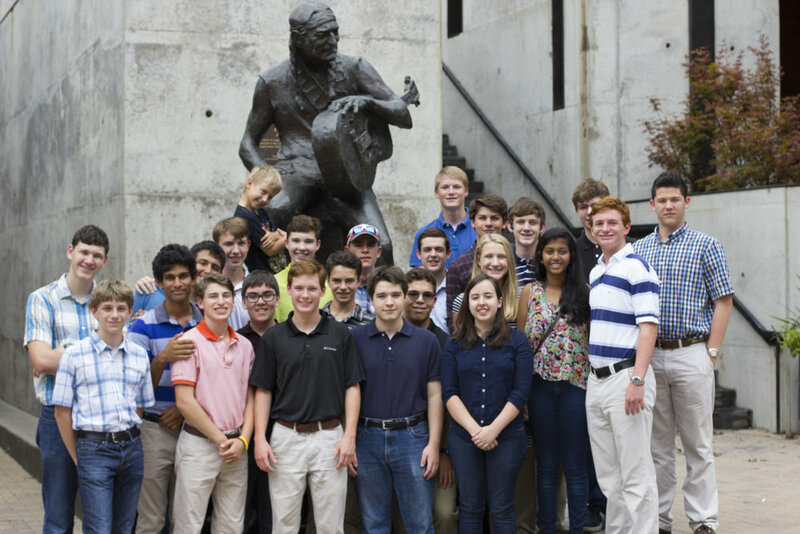 Every year, a group of around two dozen Westlake TEC students meets each summer approximately three weeks before the beginning of school. Their goal: attain a level of professionalism and expertise unknown to all but the professionals of Westlake TEC. These weeks are known as Video Crew Training. Have you heard of the Navy Seal Training Program? Basically the same thing. The backbone of the Crew is based in Camera Operators. They are the substance of the broadcast. Without them there would be no video, which means no broadcast. During training, they learn how to handle their camera, getting used to its weight and balance the more time they spend with it. They understand how the camera responds and works, using them to create UIL winning images. As important as the cameras themselves are the directors. These fearless leaders encourage the camera operators to search tirelessly for the best camera angles. They decide which of their cameras has the best shot at any given time, and the technical director puts that shot on the broadcast for the entire state to see. During training, these select individuals work to understand which shots are of a quality that is acceptable, and in which order to select those shots. Of course, under the directors, there is a veritable army of other students. A hardworking group who make magic with the camera shots, whether it be making sure nothing is too dark, or grabbing good plays and slowing them down for our world class replays. Engineering makes sure all the cameras look just right, the replay department work extremely fast to select parts of a play, choose a great camera angle, slow it down and put it in the broadcast. We also can't forget about the highlights, as the operator edits an impressive video under the pressure of the ticking game clock. Technical directors work under the director calling plays, while listening to the sounds of the game and the radio announcers' commentary. They cut cameras and fire replays non stop, doing their best to keep up with the fast paced game. Finally, we have audio. What heroes they are. It boggles the mind as to how these guys can create a perfect mix of the band, the crowd cheering, the refs talking, and even the sound of the helmets smacking into one another. During training, the heads of each of the various crews makes sure to spend every available moment making each new member feel confident about their work and the fact that they are an important member of the team. That's what's so great about summer training. The bonds that forms between mentors and new members give each of them the confidence to work as a cohesive unit during the broadcast, as well as friendships that last a lifetime. The Few. The Proud. Football Video Crew. Every summer the TEC leadership team gets together to spend four days at the Moriah Lake House planning the upcoming year. The purpose of this trip is to build unity among the officers, prepare for the challenges of the upcoming year and beyond, and to ensure that the year will be the best one yet for Westlake TEC. We sit around a big table and have six meetings lasting around three hours each on the Mission Statement and the year's goals, how to be good leaders, fundraising for the organization, all aspects of video, how we can build and develop the organization, as well as any other topics brought up by the officers. Every day during the retreat, we follow a similar schedule. Wake up early to start cooking the traditional breakfast of custom pancakes, bacon, and fruit, have the first meeting of the day, make sandwiches for lunch and take a foosball break, have the second meeting (and sometimes a third), cook dinner on the grill, then spend the rest of the evening either playing cards, doing a team-building activity, or watching a movie that relates in some way to the mission statement – for example, this year we watched Apollo 13. The sheer amount of time the meetings take might seem intimidating, but, when balanced with the rest of the retreat, it's not bad at all. We get to spend a few days at the end of the summer relaxing with our friends and feeling great after discussing the new year. To give an example of some fun experiences we've had, last year we all went swimming in the lake by the house and ended up getting our shoes washed downstream when they opened the dam. We had to spend half an hour tracking them down, and when one person realized that his were lost forever, we carried him up the hill so he wouldn't step on any burrs. What a fun time that was (I'm actually being serious, we laugh about it to this day). While you might be thinking about it as just a time to hang out and talk about things, you might not realize how many great and innovative ideas actually come out of there. When all of us get together and talk about problems and solutions, a lot can change. It's the place where the Mission Statement originated, and it's also the place where – based on our actions – we decide just how good or bad the year is going to be. However, there's no need to worry, as this year's Leadership Team is super excited and ready to make this year as amazing as it can be. Just to give you all a sneak peek, we're working on a lot of super cool technical improvements for video crew, an easier way to get everyone calendar and uniform information, a revamped Battle of the Bands, a possible super awesome secret trip for next year (after NYC), and a bunch of other small changes to give you all the best experience we can! More details about our plans will be revealed once the school year has started, so stay tuned! We're very excited about all of the new ideas we talked about and we hope that you are as well. Let's all work together to make this the best year yet, because I KNOW that we can. If you were to ask me about my favorite production, my answer would undoubtedly be Zenith. This was my fourth and final year to work the show, but I will carry the memories with me forever. I can still vividly recall running the light board for Zenith as a freshmen. It was my first production in the Performing Arts Center and I attribute most of my interest in TEC to my experiences from that show. The knowledge I gained and relationships I built during that week of rehearsal were all it took to convince me I was in the right place. I remember being in total awe of the stage manager during my freshmen year, and I loved the relationship between TEC and Hyline throughout the production. Ever since then, I knew I wanted to stage manage Zenith, and I finally got my chance this year. Being my senior year and final production, this year’s show was especially important to me. Much like our other productions, preparation for Zenith begins weeks or even months in advance. Everything from writing the cuelist to programming the moving lights has to be completed before we can begin our week of rehearsal. As soon as I knew I was stage managing, I began to think about my position. What would I say during the crew meetings? How would I lead the crew? What were the keys to a successful production? All of these thoughts were running through my mind continuously, and before I knew it, Zenith week had begun. Aside from a couple unexpected fire drills, the rehearsals came and went without a hitch, and the show opened on the Thursday of that week. Opening night was a very successful show, and in my opinion, we raised the bar even higher with the following two shows. Saturday night was our final performance and my last major production as a member of the Westlake Technical Entertainment Crew. The feeling from calling cues in front of an audience of 1,100 people was inexplicable. Before every show, I was nervous, but after calling a couple dances, those nerves transformed into excitement. It was an amazing feeling to finish calling the cues for a dance and then hear the roar of applause from the audience. 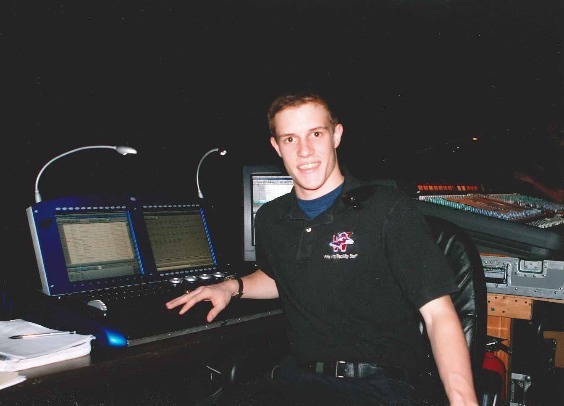 Stage managing gave me a unique opportunity to hone my leadership skills and learn some more along the way. One of the most crucial things I learned from Zenith was the importance of trust. It’s always been a part of my personality to want to do everything myself but obviously, this is an impossible task for any show that TEC puts on. Zenith helped me realize that I had to trust my crew members to complete their responsibilities, even if I couldn’t be there to help. At first, this was an uncomfortable feeling for me. While I sat in the light booth calling cues, all I could think about was how badly I wanted to be on stage checking the shinbuster gels or at the soundboard listening to the mix. As the week progressed, I slowly began to relax and developed a deep level of trust within my crew. This trust led to a close-knit team, which eventually led to three very successful public performances. Concluding my last major production was a bittersweet feeling. On one hand, I was upset. TEC has become a major part of my life over the past four years and the productions are the best opportunity to get to know other crew members and build ourselves as a team. I’ll miss these opportunities greatly as I graduate and move on to college. On the other hand, it was a very rewarding feeling to complete my last major production, especially with a show as strong as this year’s Zenith. I was so impressed with the teamwork and leadership exhibited by this year’s crew and I can’t wait to see what TEC will be capable of next year. 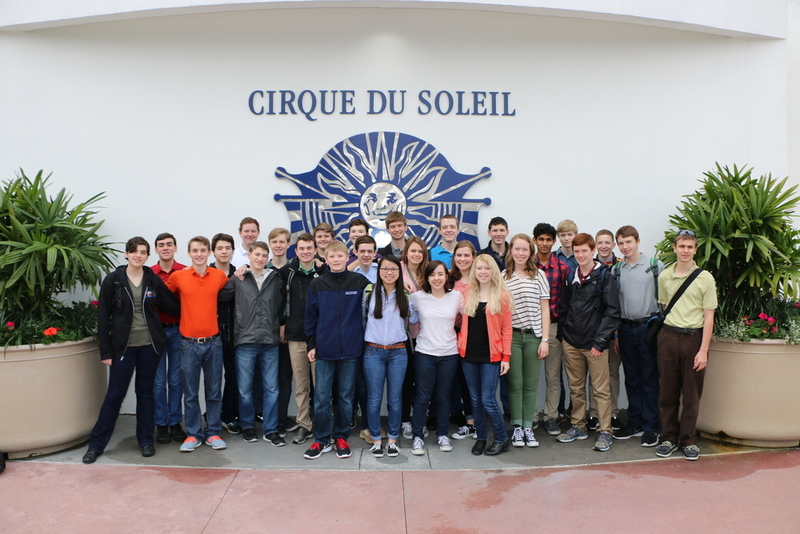 In early March, a group of thirty-eight TEC students, staff and chaperones traveled to Disney World in Orlando, Florida for the annual TEC Trip. The week was filled with shows, rides, backstage tours, and of course, rollercoasters! Believe it or not, the officers of TEC began planning the trip before the school year even started during our Officer Retreat in July. Trips with a group as large as ours can be very challenging. Everything from hotel rooms, to meal reservations, to FastPasses for thirty eight people had to be taken care of. By the time we were finished planning, we had an hour-by-hour itinerary for the entire trip. TEC spent the first full day in Disney at Animal Kingdom. 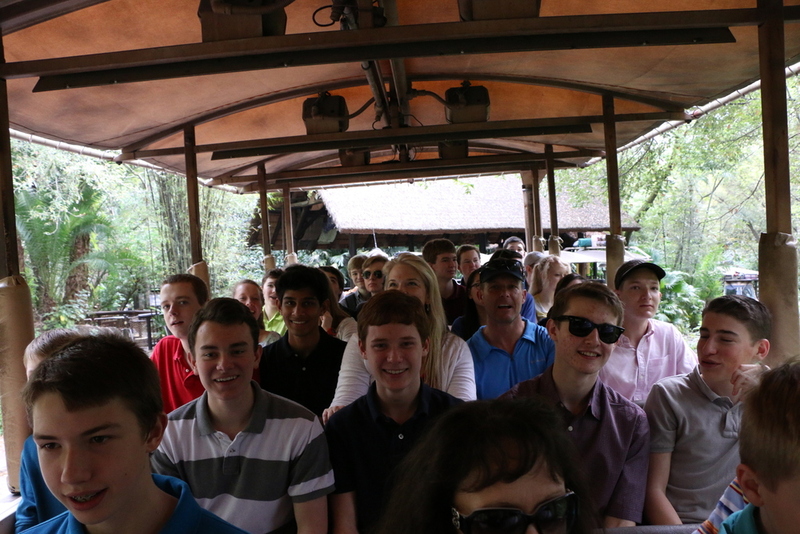 They had some great rides and we got to go on the “Kilimanjaro Safari”, where we saw tons of amazing animals. Even though I’m terrified of rollercoasters, my friends talked me into going on every one of them. I’m still not sure how that happened! While riding the rollercoasters was fun, it was not the only reason we came to Orlando. We also got to watch the new “Finding Nemo” show inside the park. The show is a musical adaptation of the movie that uses numerous puppets to tell the story. After the show, some of the technicians were nice enough to give us some time to ask questions about the show. We learned about the wireless microphones, huge scenery pieces and everything in between. Although the show looks relatively simple from the audience’s perspective, the amount of technology utilized in that show was very impressive. After dinner in Downtown Disney, we got to see one of the famous Cirque du Soleil shows, La Nouba, at the Disney World Resort. During the TEC trip to Las Vegas last year, we were fortunate enough to see six Cirque shows, so our expectations were high! The performance blew us away! The acrobatics, trampoline artists, and other circus acts were spectacular. Aside from the performers, the technical aspects were absolutely stunning. By the end of the show, we were all exhausted but our adventure didn’t stop there. A mistake in the Disney Transportation forced us to take the long way back to our hotel. We rode a boat from Downtown Disney all the way back to our hotel, the Port Orleans Riverside. The ride took much longer than expected but it was definitely an interesting way to end our first day in Orlando. As great as all of that was, the next day was far better! We got to go back to La Nouba the next morning for an amazing behind the scenes tour all throughout the theater. The tours were split into three groups, led by several staff members and technicians of La Nouba. We toured the entire facility; everything from the 80-foot high rigging and lighting catwalks above the stage, down to 15-feet below the stage, where all of the stage automation was housed. It was incredible to see the amount of technology packed into that theater for the show, some of which we utilize in our own theater. From the knowledge that we have gained from our tech classes, we were able to recognize much of their equipment, such as the counter weight system, audio console, and many moving light fixtures. After our tour of La Nouba, we split our day between Hollywood Studios and EPCOT. Both parks had some amazing attractions and we had a blast. To wrap up the day, we all watched EPCOT’s spectacular fireworks show, IllumiNations: Reflections of Earth. The show uses fireworks, pyrotechnic effects and lasers, all over the lake in the center of EPCOT. It was amazing. Next, we took a break from Disney and spent the day in Universal Studios and the Islands of Adventure. Both parks offered some amazing thrill rides, as well as more theatrical rides. For the first time in the trip, we were able to spend the entire day in one park so we had plenty of time for exploring. I think we rode pretty much every ride in the park. After a day like that, everyone was tired and probably a little light-headed after all the roller coasters but we had one more day to go! On our last day, we returned to Disney for the Magic Kingdom, which had more amazing rides. From the minute the park opened until 3pm, we were frantically searching the park for all the best rides and shortest lines, knowing that it was our last day. We also got to take some pictures at the iconic castle in the middle of Magic Kingdom and watch one of the parades down Main Street. 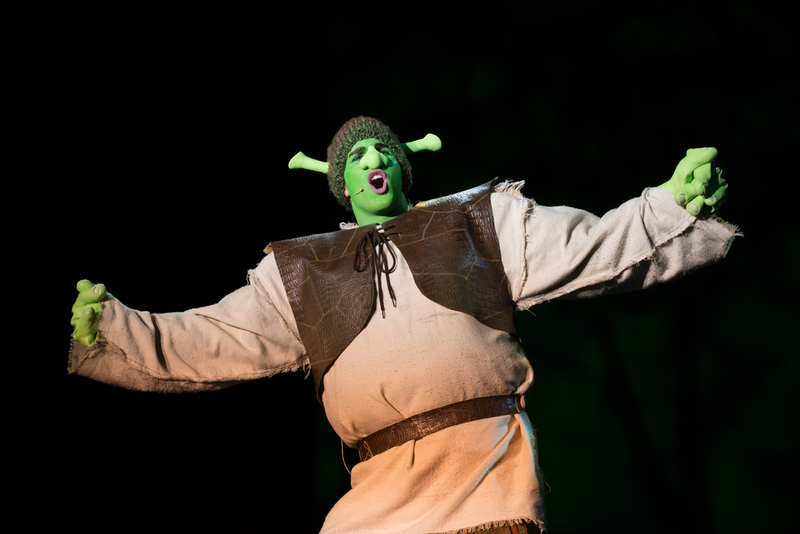 When I think about musicals, Shrek isn’t exactly the first show to come to mind. Having only seen the movie, I had trouble picturing a giant dragon chasing a talking donkey, while breathing fire on stage. To be honest, a lot of people including myself were skeptical and didn’t know what to expect. But, week by week as we put together an entire new stage and set, I became more and more intrigued by the show. Around that time, I started listening to the soundtrack of the Broadway version of the show and it didn’t take long for my view of the show to make a full 180. The next week, I got to hear the choir rehearse for the first time, and I had to do a double take because it sounded so similar to the Broadway recording. Needless to say, I couldn't wait to see the show come alive on our stage. Rehearsal week was insane. We were building scenery and hanging backdrops all the way up until the day before opening night. One can only imagine how those rehearsals looked the first few nights. Calling cues for a show was an unfamiliar experience for me so the first couple rehearsals were a bit slow at times. Towards the beginning, the crew was all rather timid and uncoordinated with one another, not to mention the orchestra wasn’t there for the first few days. As the week went on, we saw more and more of the costumes, scenery, props, and backdrops. Everyone began to look more confident and comfortable in their roles as the week progressed and by time we got to Wednesday, the night before the opening performance, the show had really started to take form. The choir sounded great and the entire crew had their jobs mastered. However, even with a strong rehearsal under my belt, going to bed that night wasn’t easy. I continuously ran through the show in my head, stressing over the minutest details. Despite that, anyone who showed up to the opening performance can vouch for me when I say, it was spectacular. After a full day of practicing and listening to the music, I felt ready for the show. Opening night was a blur, but it was an amazing experience that I will never forget. The feeling I got from calling a live show in front of over a thousand people was inexplicable. It didn’t stop there, every night just got better and better, to the point that we had a nearly perfect show. Now, all those show nights were very late nights, but it didn’t matter because showing up to school the next day and hearing all the great things people were saying about the show made all the difference. Even now, people are still walking the halls humming to the tune of all the great songs from Shrek. I can say with complete confidence that Shrek was my favorite show and possibly the best show to ever come to the Westlake Community Performing Arts Center. That being said, I can’t wait to see what the choir chooses for next year. It will be a tough one to beat! “Go, go go!” The excited screams filled the stage as kids raced to the middle of the circle, carrying watches set to strange times and shoes tied together, whatever was required to fulfill the unusual demands of the scavenger hunt. Last week was the 17th annual TEC Teambuilding Night. For those of you who don’t know, it’s a 12-hour long lock-in in the PAC and gym, filled with fun activities for all of us to enjoy. Any TEC member who has participated in a production within the past year is welcome to attend the event, and we usually get about fifty members. It originally started as a chance for the teachers to see how the TEC students would get along when outside of school before taking them on the first spring trip. Now, it has grown into so much more. As an officer this year, I’ve been a part of the group that worked for the past several weeks to pull this event off. Finally seeing it come together and be the huge success that we’d hoped for was very satisfying. The evening began at 7 pm with our annual TEC photo, which will be in the 2015 Zenith program, school yearbook, and fall football program. 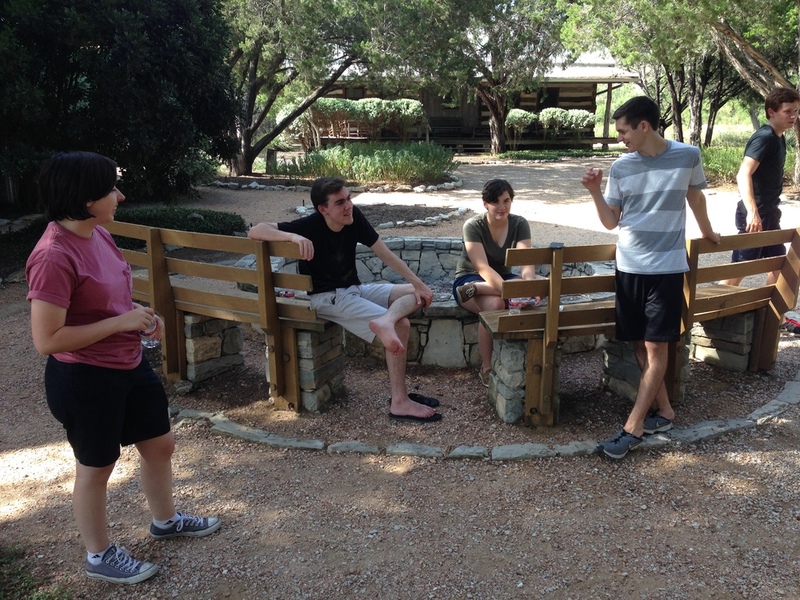 Afterwards there were icebreakers and a whole lot of barbecue. Throughout the evening we passed out door prizes, courtesy of the generous Westlake community, and watched videos filmed and edited by TEC students. One of the best parts of the night was when we split into smaller groups to work with the kind and talented professionals of the Andy Furman Group, whom we have been lucky enough to have join us for the past eight years, to complete different teambuilding activities that they provide. Over the years there have been some odd and challenging games, but they're always very entertaining and they teach us important lessons about becoming a stronger team. Now that I’m older, it’s fun to take a step back during these times to allow younger members to become the leaders and share their ideas. There were some new activities this year, including a game outside the school at 1am, which definitely got some stares from the people in cars passing by. Andy Furman’s team left at about 2 am, and then we were up to our own devices. 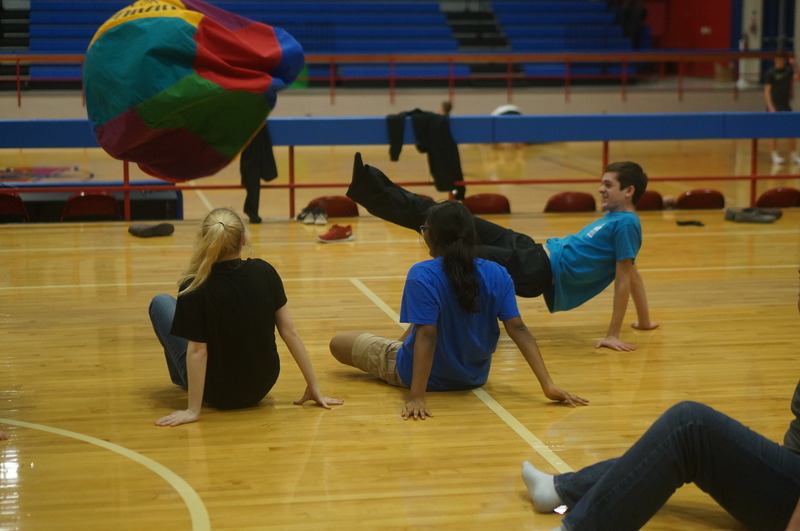 The officers worked hard to come up with games to keep people interested for the following five hours: Ultimate Frisbee, football, crab soccer, video games, and twister, just to name a few. Sometimes people go to bed at this time, but most people want to take on the challenge of staying awake all night. At 6:30 we packed up, and by 7 am we were out the door, happy but utterly exhausted. Teambuilding Night is a special event for members of TEC. It’s a chance for everyone to come together to celebrate the year we’ve started, and it allows us to get to know each other on an out-of-school basis, making us a stronger team to finish out the year. Even more importantly, Teambuilding Night is when we, the older members, get to meet and watch the younger students. It is our first glimpse into the future of TEC. When we all leave high school in the next year or so, it’s this year’s freshmen and sophomores who will step up and take our places as the leaders of TEC. The shy freshmen who were nervous to share their ideas this year might very well have a spot as on officer on the leadership team of 2017. We get to see who is already showing a love for TEC, and we begin to do what previous students did for us, helping them to grow in their confidence and leadership, so that when we are gone, TEC won’t just be as good as it was when we were here, it will be better. 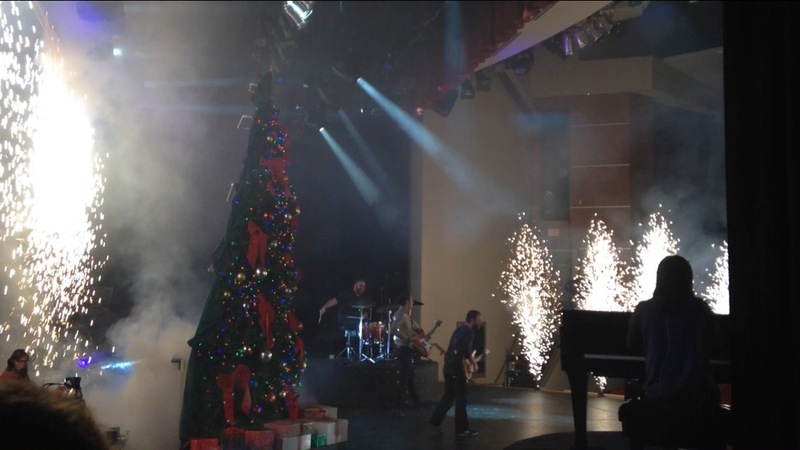 After eighteen weeks filled with football, TEC 101, Battle of the Bands and many more events, the Westlake Technical Entertainment Crew closed out the fall semester with the 10th annual production of The Nutcracker Spectacular. NCS features music from Tchaikovsky's The Nutcracker played by the Westlake Symphonic Orchestra, as well as dancers from Westlake's local dance studio, Alisa's Dance Academy. The performance consists of a shortened version of the original ballet topped off with a Trans-Siberian Orchestra-style finale complete with pyrotechnic effects by ProFx. After ten years, this show has become an annual tradition for many families in the Westlake community. NCS is unique because it is entirely produced by the Technical Entertainment Crew. Because of this, the TEC officers, myself included, spend months leading up to the performance securing sponsorships, hanging posters, and sending out flyers and postcards. While those months were certainly stressful, I felt like I was involved in something important. Something beyond grades and school. When I was told months later that I was selected to be head of the stage crew for the production, I was ecstatic. It was the first time I had held such an important role in a major production and despite harboring some doubts, I was really excited. Being on the stage crew is one of the more dangerous positions in a production. NCS is very scenery-intensive with over twenty pieces of scenery, many of which require several people to move. With so much heavy scenery being moved, drops and curtains flying in and out, and the pitch blackness of the scene changes, there is potential for injury. In order for a scene change to be fast and safe, the crew must be efficient, and in order for a crew to be efficient they need good leadership and teamwork. Over the course of the production, I learned a lot about leadership and about my crew, many of whom had never worked a production. After spending six hours a day after school with them, I got to know each and every one of the twelve members on my crew. Their personalities, their likes and dislikes, which classes they do well (and not so well) in, even which crew members they work best with. That's probably my favorite part of major productions; getting to meet new members and seeing them open up over the course of the show. It's incredible how much students change after just one week, going from nervous and uncertain to calm and confident. I'm really looking forward to seeing how they grow as crew members over the next few years. The overall quality of the performance was very high, and may have actually surpassed that of last year, not an easy thing to accomplish. Despite the struggles of having a new orchestra director and an abnormally young crew, everyone from the dancers to the musicians to the crew really stepped up this year and created something truly amazing. NCS has always felt like an opportunity to give back to the community for all of the support they have shown us, so I hope the families that came enjoyed watching the show as much as I enjoyed putting it on. As NCS wound down with the final performance, I found myself rather sad to see it go. As stressful and time-consuming as it can be, Nutcracker week is still one of my favorite times of the year. It's a great experience and, above everything, it's fun. Having said that, I can't wait to see what events and productions the spring semester will bring. 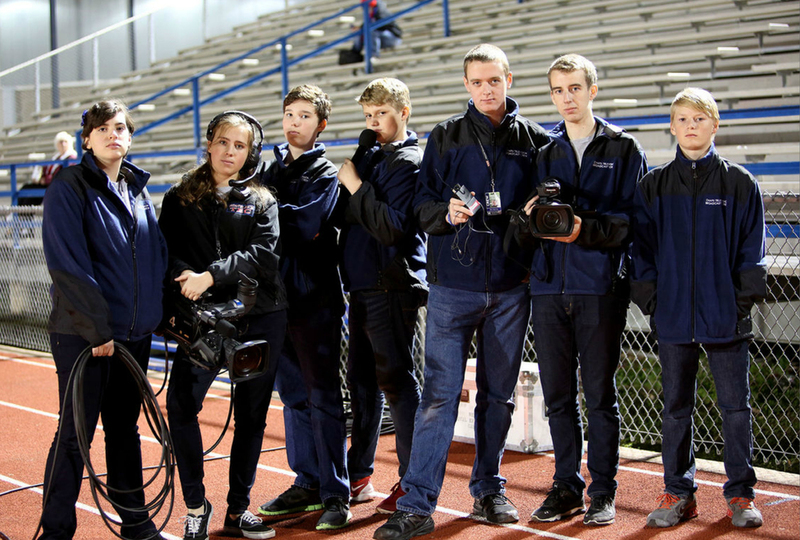 Recently the varsity football season came to an end, and with it came the end of the 2014 Video Crew season. Video Crew is a project that a group of passionate Westlake TEC members has been working on for over a decade. It has evolved greatly over time, but the general idea has always been that a crew of around 24 comes together for every varsity football game, be it home or away, and records a professional broadcast to air on television. I personally have had the unique opportunity of being one of the few people to have been a member of the video crew since my freshman year, something that very few students have the opportunity to do. This year, my third year on video crew, I feel that we had some catching up to do at the beginning of the season with the ten new members who joined us this year. It’s strange having to teach someone else all that you've learned, and that was an adjustment I think all of the older members were having to deal with. We struggled a bit with a newer crew but everyone stepped up, worked hard, and managed to improve immensely over the past four months. It amazes me how much better we are now compared to back in August when we started our training, especially since we had to overcome the challenge of a very new group. Since I held the position of broadcast director, I was able to observe just about every crew member in their positions and really see how much each and every one of them has improved. Based on our success this year, I can’t wait to see how well we do next year. One thing that makes our broadcast so high quality is the specialization we practice. Just like the football team, we have one or two positions that we learn as much as we can about and then pass on that knowledge to the younger members before we leave. Personally, I think that this was a rebuilding year. That was what this year was all about: passing on all that knowledge you had gathered over the years and teaching it to newer members. Its great if you know how to work a camera really well, but it doesn’t help the program if you graduate without ever teaching anyone how to be as good, or even better, than you are. With out the constant training of newer members, we would be unable to maintain the high quality of work that we pride ourselves in so much. Next year is going to be absolutely amazing because of all the hard work that everyone put in this year. As far as the actual season goes, we did an excellent job. As I am looking back through our footage while editing the highlight video from this season, I see no shortage of good shots. I’m really impressed with everyone and I think our camera operators did an excellent job of capturing plays and color shots. There hasn’t been a play yet that we didn’t capture with at least two cameras. It’s exciting to see that we no longer have an issue there, when it has been a problem in past seasons. This year, the football team got a new coaching staff and the transition hasn't gone without its bumps in the road. With the previous coaching staff we were encouraged to get shots of both the players on and off the sideline, as well as shots of the coaching staff. This year was another story. Coach Dodge is different than past coaches in that he doesn’t want us distracting the players what so ever. This means that we have had to back up from the players and film them only from far away. I see where he is coming from, but I hope we can improve our relationship to the point where there is a mutual trust between us, and he knows that we can safely film his players without causing distraction to the team. The close up shots of players' faces look great and it will be a shame if we can’t get them anymore. Hopefully we can mend that relationship and continue to broadcast excellent football, but for now we'll just have to see how we can adapt to these new circumstances. All things considered, we had a great season and I look forward to seeing what next year has in store for us! What year did you graduate Westlake High School? 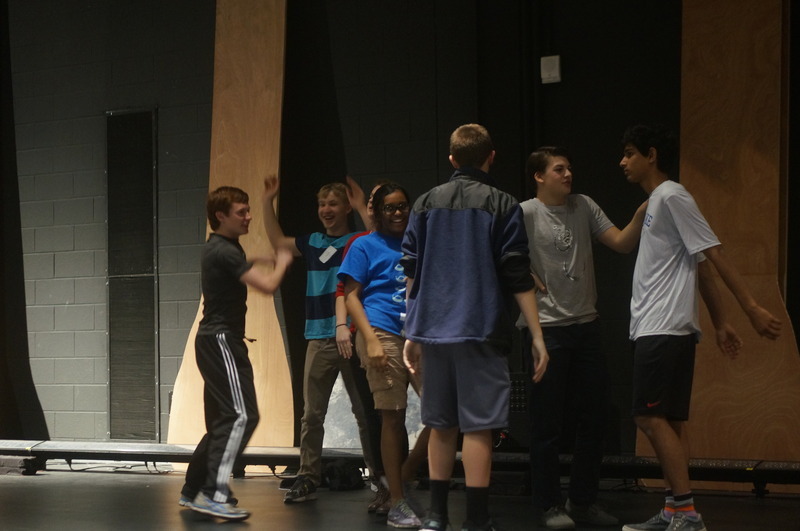 How did you get involved with Technical Theatre and the Westlake Technical Entertainment Crew? “When I was in 8th grade and applying for my high school classes, I wanted to do computer animation as an elective. I had put technical theatre down as an alternate because I did not completely know what it was. It turned out I got my alternate elective rather than my primary choice, and ended up in the tech theatre class. So it wasn’t even intended." How many years were you an officer? Did you stage manage any major productions and, if so, what was that experience like? “My sophomore year I stage managed Brigadoon, which was that year’s musical performance. This was my first opportunity to lead a large crew. I remember thinking about the potential to make some really noticeable mistakes. I was waking up in the middle of the night thinking about cues, worried about making mistakes. It really opened my eyes to the fact that I have to trust my crew and know that if I did my part, they would follow through and do theirs. It was really cool seeing all our preparation from rehearsals spring into action on production day. It taught me how to work through issues. During one of our performances, a wireless microphone failed, and we all communicated well and worked together to overcome that difficult situation. Everyone performed their job flawlessly, and the audience didn’t even know anything had gone wrong." What are your thoughts about becoming president junior year? “At first it was a little intimidating knowing that I would have to gain the respect and lead people both younger than me and older than me. I learned that doing so was possible and I proved to myself that I could do it. I liked having a second year to learn from my mistakes and build on it. I had a second shot at it and could improve from what I did the previous year." What have you done since you graduated high school? “Since I graduated high school, I went to Brigham Young University, where I was majoring in Theatre and Film. After my freshman year, I spent two years in Sao Paolo, Brazil with my church being a missionary from 2007 to 2009. After that I returned to BYU and switched majors and began taking Pre-Med classes. The year before I graduated BYU, I got married to Kara Butler, a wonderful girl from BYU. Currently, I’m getting my doctorate at Rosalind Franklin, outside of Chicago." 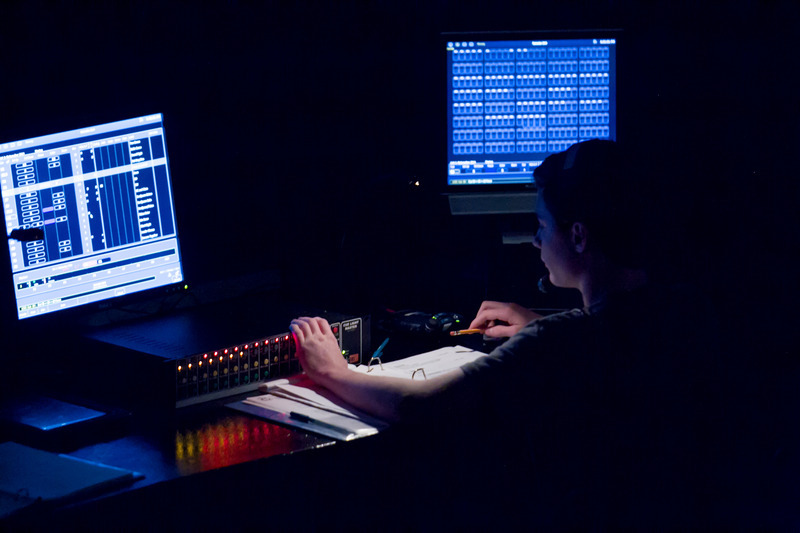 Looking back on your four years in the Technical Theatre program, what was your favorite memory? 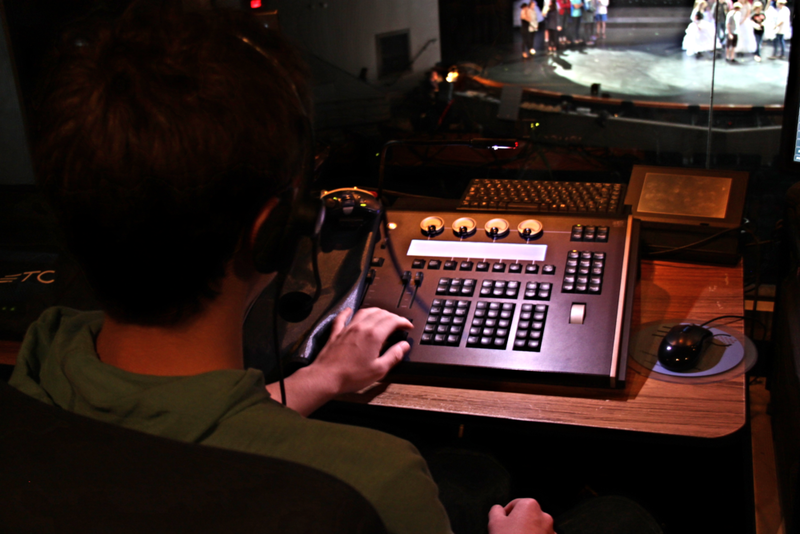 How did your four years in Technical Theatre affect your life after high school? What advice would you give students that are currently in TEC? “My advice to students currently in the technical theatre program would be, remember that it’s not about the equipment. Throughout your life, technology will change and the technical skills you learned won’t necessarily benefit you directly, even though having a good technological base is a good thing. What really matters is the skills that you learned like how to work with other people, leadership skills, communication skills, self-discipline, etc. Those are skills that people will always need no matter how much the world changes."